At aged 8 the Beavers transfer to the Cub Pack. After a few weeks of attendance, learning about the cub pack and acquiring a cub uniform, they will then make the Cub Promise. Again parents are welcome to attend this small ceremony. Cubs are organised into ‘sixes’ and during the course of their time in the pack will hopefully move from a regular member of their six to a ‘seconder’ and then a ‘sixer’, giving the older cub more responsibility for the running of their ‘six’. When cubs first started in 1916 they used as a theme ‘The Jungle Book’ by Rudyard Kipling. This is still used today, but has been adapted as trends and young peoples interests have moved on. Leaders still have ‘Jungle Book’ names, which at first can be confusing to new members (and parents!). All cubs enjoy gaining badges and awards. There are 33 activity badges and 7 challenges to work towards and the top cub award is the Chief Scouts Silver Award. Camping is said to be the favourite activity of cubs. 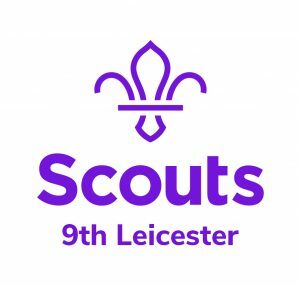 The 9th enjoys camping either with the Scout troop, the District or as a Pack. Meeting are currently held each Wednesday 6:30pm – 8:00pm.